Some people love journaling, and some absolutely hate it. A client asked me about journaling the other day. She felt journaling kept her more stuck in the story of what happened vs. moving on. She’s not the first person to say that to me. A lot of people love journaling. That’s because as humans, we’re naturally story tellers. We also like to have our stories heard. It helps us feel complete with what happened. People who love journaling often say that it helps them get clarity, both about what they’re thinking and about what to do next. People who don’t like often say that it’s boring, they don’t like to write, or, like my client, they feel more stuck from it. If journaling seems like it’s too boring or is keeping you stuck, yet you still have what happened playing in your thoughts, it’s probably because you haven’t fully dealt with your emotions. Our blockages are a combination of thoughts, emotions and energy. Thoughts are the upper layer, energy is the deepest. Some blocks are only as deep as your thoughts and are pretty easy to move through. Journaling through these can be really quick and unemotional. You know you’re close to a deeper block when you get very uncomfortable while you’re writing and/or you reach for a distraction. Emotional blocks often include embarrassment, shame, anger and/or hurt, and feeling that stuff is NOT fun! We avoid it by distracting ourselves, going into another emotion like self-righteous anger or blame, or by just stuffing the feelings down even further. The problem is that when you’re not willing to go into those uncomfortable emotions, you’re not going into the source of the block. An advantage of journaling is that it has you sit down and actually tell the story and go through the whole thing. The important thing is to get in touch with the feelings of the story. 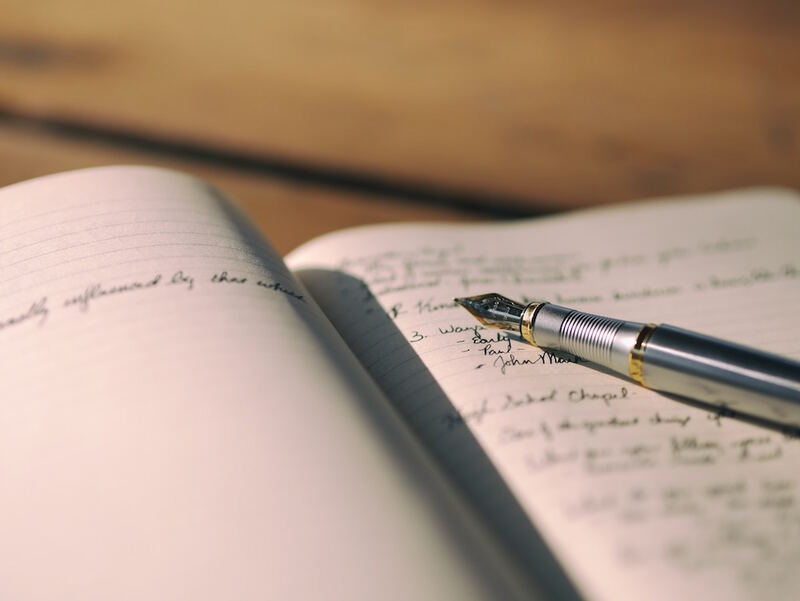 If it seems like your journaling is reinforcing the story, chances are that you’re backing off when it gets uncomfortable and you’re not going deep enough. Sometimes, it takes having somebody else with you to go to the deepest part of what happened. I’ll often write things out in an email to a friend, and frequently never actually send the email. It just helps me to go more deeply when I feel like I’m telling it TO someone. What I frequently see in my work is that a lot of people work hard to stay positive, look on the bright side, and be independent. They’re worried about getting caught up in the negativity, so they try to just move on. While there are definitely some positive aspects of this, we often take it too far. Picture emotions like waves with highs and lows. When we feel ourselves start to go down, we frantically try to kick, kick, kick ourselves back up. The thing is that the unresolved stuff is at the bottom of the wave. When we don’t ride the wave down, we aren’t resolving the stuff that needs to be released. We’re not acknowledging and thereby letting go of the crap. For journaling to be effective, you have to let yourself get down to the bottom of the wave. Going to the bottom doesn’t necessarily take a lot of time. Your willingness and intention to feel your emotions allow it to go more quickly. Your emotions may feel intense. Keep breathing and they will pass. Think of emotions as “energy in motion”. They are meant to be allowed to flow. Click to Tweet: When we don’t ride the emotional wave down, we aren’t resolving the things that need to be released. You’ll know you’ve reached the bottom of the wave when you naturally start rising again. You may not even finish the story before you have insights, see a different perspective, or get clarity about what to do next. You’re stuck in the down cycle. This is like continuing to swim down when the wave wants to bring you back up. Often, blame is at play here. Or you have a subtle belief that you’re not ready to move past what happened for some reason. What you’re writing about feels too big for you to deal with. If this is the case, please get help. You absolutely do not have to do this alone. Consider working with an experienced coach or therapist who can truly support and guide you. I encourage you to give writing or sharing your story another try with all of this in mind. Just see what happens. If you still don’t like it, keep looking for what works for you. I loved this, Sara. I often encourage my clients (counseling AND business) to use journaling as a way of processing thoughts, ideas and emotions. And, as you said, it’s not unusual to run into that same resistance. “It just makes me feel worse – why would I want to do that?” Loved your metaphor of the wave – AND the thought of emotion as ‘energy IN motion’. That’s a keeper! Thank you, Wendy. I’m so glad you found this helpful. What you wrote makes me think of how emotions are associated with water in so many traditions. Like water moving through an electrical dam, when our emotions are allowed to flow, they give us the energy we need. Very powerful.